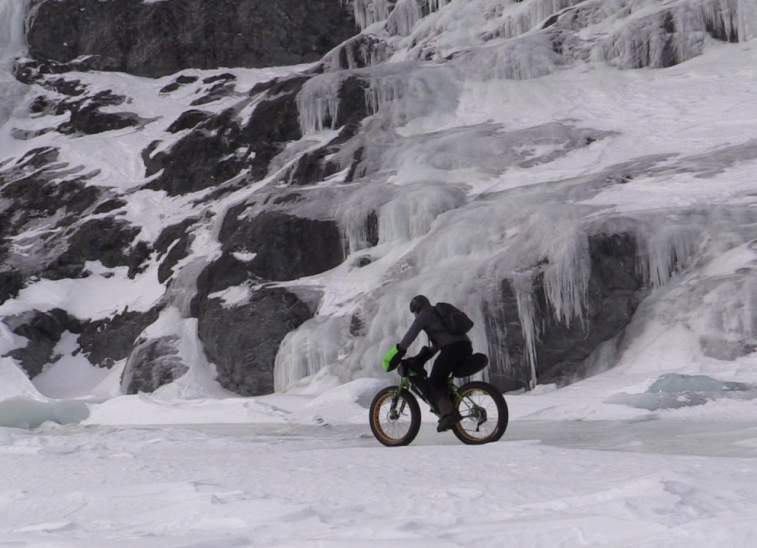 Winter is quickly becoming the best time of year to visit Alaska. 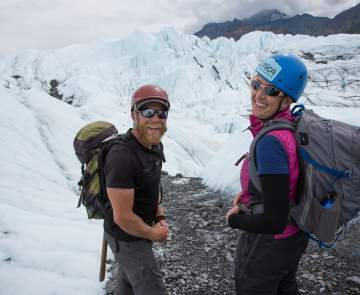 With moderate winter temperatures, plenty of snowfall and distance from big city lights, the Mat-Su shines under bright sunny days and brilliant starry nights. found in the Mat-Su Valley. In winter, hotels, lodges, lakeside inns and bed and breakfasts become linked by a vast network of winter trails. To find places to stay, click on "Lodging" within Vacation Fundamentals. Quench a thirst for winter play at Sheep Mountain, where cross country ski trails are groomed for both skate and classic skiing and there is quick snowmachine trail access to Gunsight and Eureka. Hot tub, sauna, hearty food and drink await overnight lodge guests. Located at the end of a 19 mile road that branches off of the Glenn Highway at Mile 159.8, Lake Louise and adjoining Susitna Lake cover 37 square miles of Alaska&apos;s largest lake system accessible by road. Deep powder and more than 300 miles of trails idolized for some of the best snowmobiling, cross-country skiing and dog mushing in Alaska. Families bond with ice fishing, northern lights viewing and good old-fashioned sledding. Surrounding lakeside lodges fill up fast during special events such as fun runs, an antique snowmachine race, and St. Patrick&apos;s Day festivities. Locally known as a winter recreation Mecca, Hatcher Pass offers a multitude of activities ranging from snowshoeing, skiing, snow cat skiing and sledding. Once the snow flies, visitors to the area can access groomed trails that connect to Willow-Fishhook Road open to snow machines and skiers during the winter months. Nearby lodges and bed and breakfasts allow guests enjoy outdoor activities and then relax with a good meal and a sauna. After a full-day guided snowmobile adventure under brilliant blue winter skies, nestle into cabin or lodge located along the famous Iditarod Trail. The Iditarod Trail Sled Dog Race may happen in March, but this spectacular Alaska adventure is offered throughout winter. Special culinary and dog mushing weekends are available. Winter and summer, many people enjoy taking advantage of one of 13 Public Use Cabins available on Nancy Lake, Red Shirt Lake, Lynx Lake, James Lake and Bald Lake. These cabins, which must be reserved in advance, sleep from four to eight people. Although rustic, the public use cabins make an adventurous outing, particularly those located on islands. For more information on cabin availability or to reserve one, contact Alaska State Parks. Talkeetna knows how to celebrate winter with the annual Winterfest town celebration held throughout the entire month of December. 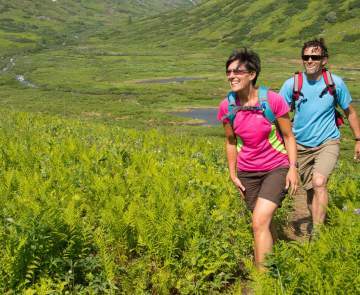 Explore the Alaska wilderness on your own or with a guided tour. Take a tour of the park ranger station open on Saturdays and go flightseeing over and around Denali (Mount McKinley). Winter weather means clear blue skies and better chances for viewing the elusive peak. Overnight at one of the area&apos;s cabins or inns. The newest winter destination is located in the heart of the Alaska Range is located at the Tordrillo Mountain Lodge. Book a thrilling heli-ski vacation complete with lodging, gourmet meals and air transportation from Anchorage. This area receives a ton of snow! Guided snowmachine excursions for every experience level are available, and range as long as three hours to ten hours. 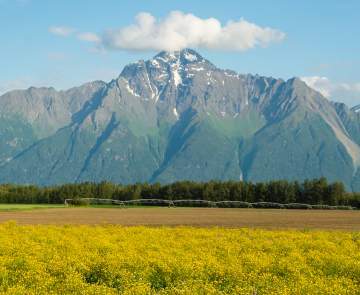 With stunning views of the Alaska&apos;s Range including Mount McKinley, it&apos;s easy to understand why recreational enthusiasts are attracted to the Trapper Creek/Petersville area. Willow sits at the convergence of 3,000 miles of groomed trails. Take an invigorating dogsled or snowmobile ride through Alaska wilderness. Visit a working kennel and learn how to mush your own dog sled team before settling in for the night at a lakeside inn or vacation home.